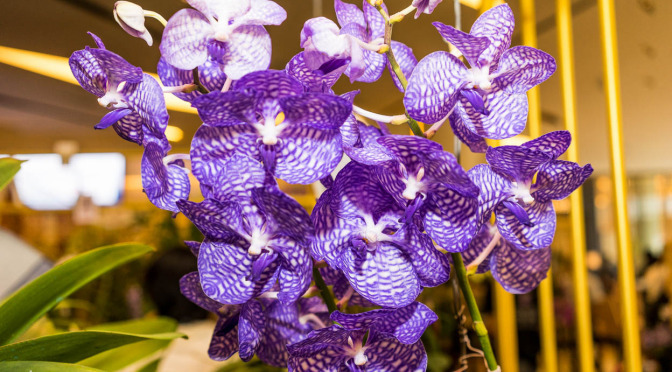 Siam Paragon features the 8th Royal Orchid Paradise 2014 with the most beautiful species of orchid from Thailand. This is at the same a contest, with a prize to the owner of the best flower. You can see below the flowers and the decoration from the first day, the 26th of November. The event is until the 1st of December 2014, at the ground floor & 1st floor of Siam Paragon, BTS Siam. This entry was posted in Art, Flowers, Shopping Mall, Siam Paragon on November 26, 2014 by AsiaEmbassy. Central Chidlom is decorated with amazing flowers and scenery all over the place, as they do every year. This happens from Wednesday the 29th of October to Sunday the 2nd of November. there is a direct access to the BTS Chidlom, Sukhumvit line. You can see below the flowers and the decoration from the first day, the 29th of November. that’s when the flowers are fresh and beautiful ! you can check as well our article from last year, click here! This entry was posted in Art, Flowers, Shopping Mall on October 28, 2014 by AsiaEmbassy. This entry was posted in Art, Flowers, Shopping Mall on October 22, 2013 by AsiaEmbassy. This entry was posted in Art, Flowers, Park on October 21, 2013 by AsiaEmbassy. 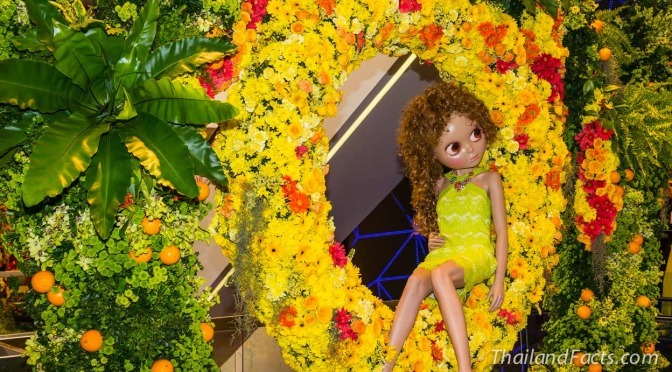 A temporary garden was set up in CentralWord, Bangkok, to show the flowers and vegetable that Thailand is growing. This entry was posted in CentralWorld, Flowers, Shopping Mall on August 17, 2013 by AsiaEmbassy.